I am very happy to receive 50 YouTube subscribers! Though this social medium is a hard nut to crack, I love video and YouTube. I am thankful for each and every single subscriber. I work hard on providing stellar project management and personal branding content to guide my viewers towards action. Keep your eyes peeled for all of the new business, project management, and personal branding videos that I will be dropping on my channel. 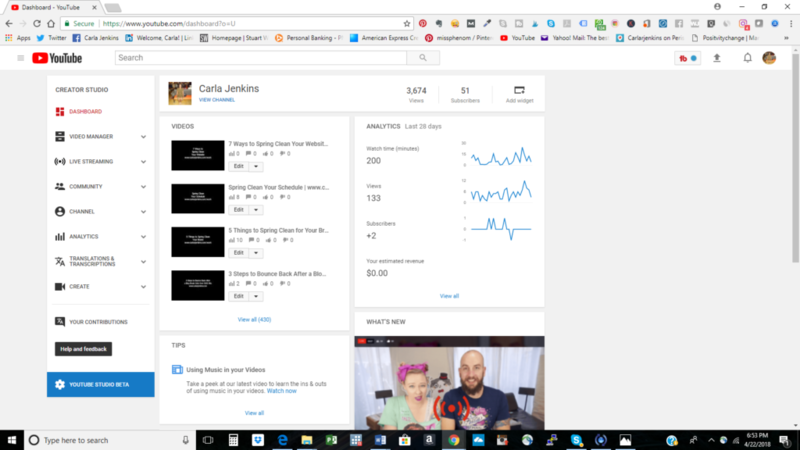 I am going all in on video marketing and using video to help me people with their end goals.